Like a drive chain keeps a wheel moving forward, the entire customer journey propels your ultimate success. 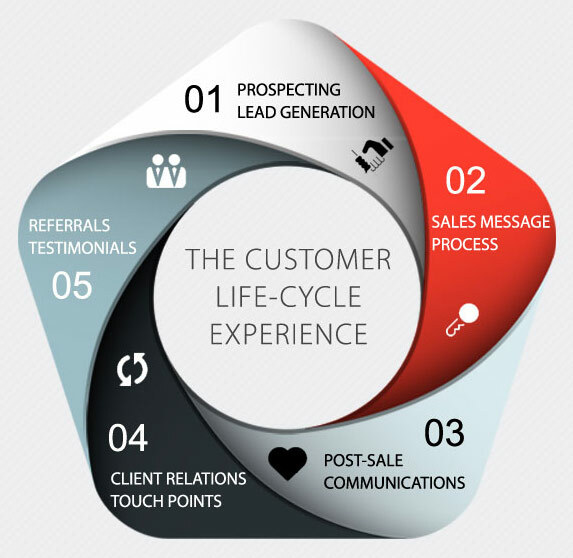 What are the missing links in your Customer Life-Cycle Experience and why does it matter? • It costs 5 to 12 times more to attract a new customer than to keep an existing one. • The ROI is up to 10 times higher for investments in customer retention than new customer acquisition. • A mere 5% increase in customer retention typically results in a 75% increase in aggregate lifetime profits. How to generate, qualify and prioritize leads more easily. 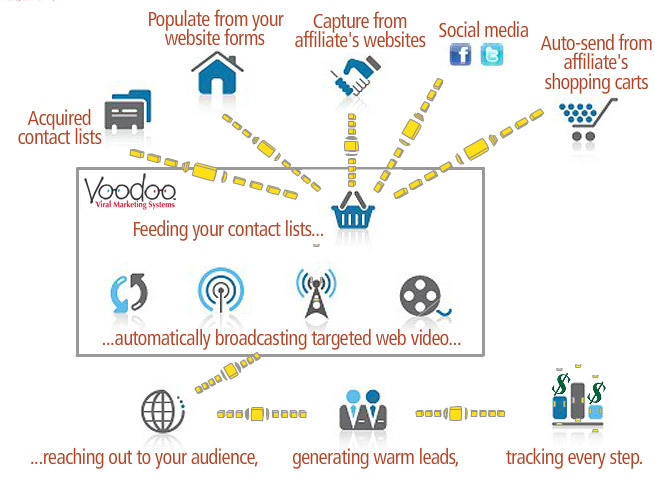 Capture prospects automatically from any online source. Segment your prospects and identify high priority, legitimate leads. Use automated email campaigns to communicate personally and perfectly to nurture every lead. Establish relationships personally and sell more, faster. You can do this without complex lead scoring or data analysis. 5 times more sales impact. 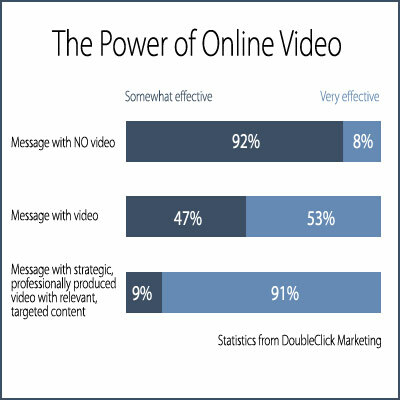 Forget static emails, because online video beats them hands-down. 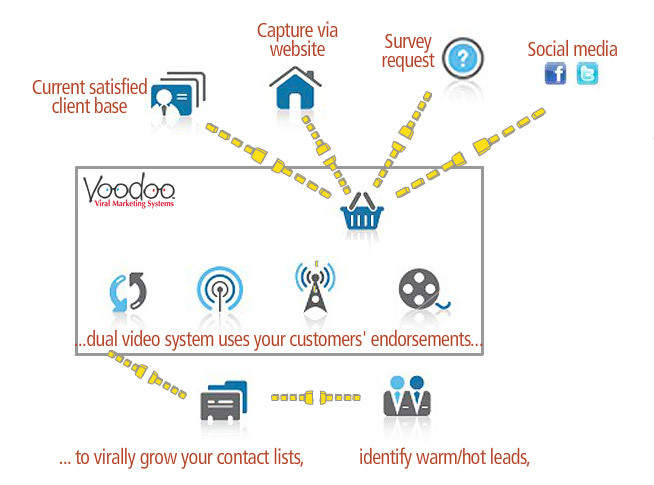 Leverage Automated Video to grab attention, educate and entertain your prospects and customers. Segment your prospects and identify legitimate leads. 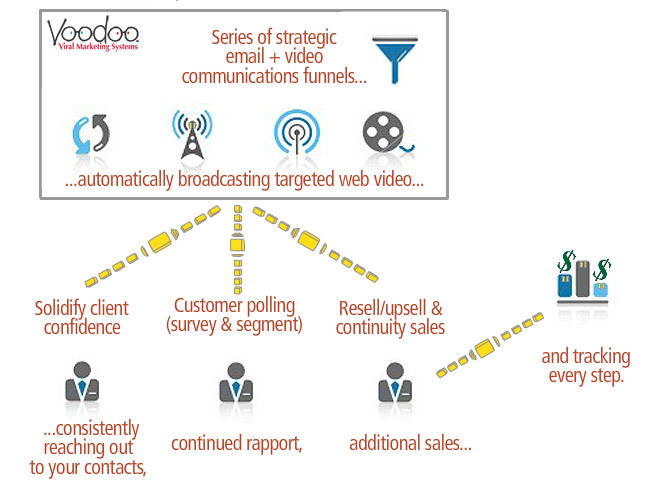 Communicate automatically, individually and personally from each sales rep. Content library can be shared among multiple users for consistent professionalism and brand compliance. 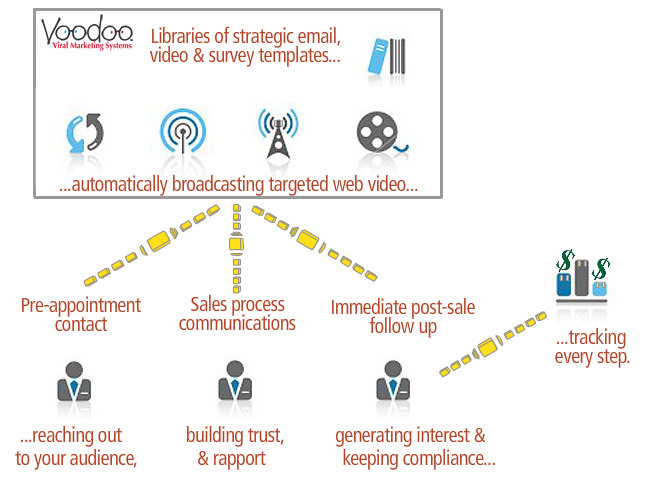 Leverage strategic content including emails, videos and surveys to create an automatic customer-nurturing system. Set them up to reach out at every stage — pre- and post-appointment and follow up. This will build trust and rapport, generate interest, and maintain brand and legal compliance. Make sure you track every step. This automated outreach will help you sell more and yield solid ROI quickly. Avoid buyers' remorse and returns. Delight customers effortlessly. Delivering-as-promised usually requires some automation. 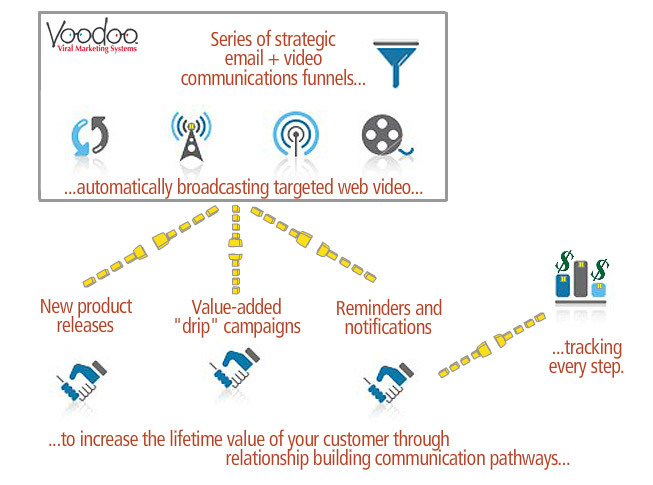 Setup strategic communications and drip-marketing funnels to automatically reach out on your behalf. They'll build satisfaction, rapport and additional sales. Track every step to measure your rewards in hard and soft dollars. Keep your competition at bay. Use funnels and forms to communicate news and product releases, to share information over time, and provide important reminders and notifications. This is an automated way to increase the lifetime value of each customer. You’ll never forget your customer and they’ll never forget you. Leverage all the relationship can offer. Remember the math showing what it costs to acquire a new customer vs. keeping one or generating a referral? Did you know know you can leverage your customer base to provide an endless supply of qualified leads? New technology allows them to endorse you and virally grow your contact lists, simultaneously identifying warm and hot leads and starting the magic all over again.